Stomach flu or viral gastroenteritis is an inflammation of the gastrointestinal tract that includes the stomach and the intestines. It is very contagious and affects millions of people every year. Read on to find out all information regarding the incubation period for stomach flu along with the various remedies to ease your discomfort. Norovirus is the leading cause of stomach gastroenteritis and affects about 50%-70% of people in the world. The other viruses that can cause stomach flu include Rotavirus, Astrovirus, Adenovirus and Sapovirus strains. Bacterial causes of stomach flu include Salmonella, Shigella, Camplyobacter aeromona, and Escherichia coli strains. Occasionally, Clostridium, Vibrio and Yersinia spp. can also cause gastroenteritis amongst people. Common parasites that cause gastroenteritis are Giardia, Cryptosporidium and Entamoeba species. However, even Cyclospora can cause an outbreak occasionally. Besides infectious agents, there are other causes of gastroenteritis like allergies and toxins. It can even occur as a side effect of many medications, like antibiotics. What Is the Incubation Period for Stomach Flu? Many people harbor the virus that causes stomach flu for a time period ranging from 4 hours to 2 days. The difference in the incubation period for stomach flu is mainly dependent on the type of virus that causes it. The incubation period for this virus is usually 1 to 3 days, before the symptoms appear. The contagious period of the Norovirus ranges from the time the symptoms appear till almost 2 to 3 weeks after the affected person has been cured of stomach flu. However, the patient is not contagious during the incubation period of the virus. This virus has an incubation period of 1 to 2 days. The patients with this virus are contagious during the incubation period till after 2 weeks of recovery. 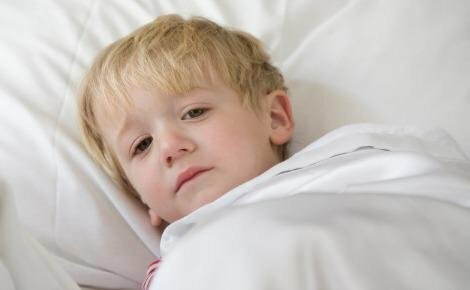 Children are mostly affected by this virus and they may remain contagious for longer periods of time as compared to adults. In case of stomach flu caused by adenovirus, the virus stays in the system for usually a week before symptoms first appear. Also, patients are contagious during the incubation period when infected by the adenovirus. What Happens After the Incubation Period? You have known the incubation period for stomach flu, but do you know what happens after that period? Once the virus has entered your body, symptoms start appearing after the incubation period. The major symptoms that are seen in stomach flu include severe abdominal cramping that can result in pain, a feeling of nausea and vomiting, and diarrhea. Some patients also complain of headaches or fever. A swelling in lymph nodes is noticed in some cases. If you continue vomiting or have diarrhea for a longer duration, it could result in a severe decrease in body fluids level, resulting in dehydration which can prove fatal. After the appearance of the first symptoms of the illness, immediately call your doctor. Besides, you need to seek medical attention if you baby has been vomiting for more than 2 days or has been very fussy, or if you have detected the presence of blood in the stool. The doctor will prescribe the appropriate antibiotics if your baby is suffering from bacterial gastroenteritis. However, medication is not helpful during a viral gastroenteritis, as viruses need to complete their incubation period and run their course. Avoid giving anti-diarrhea medications to your child, as they can only prolong her illness and even cause severe side effects. If your child has high fever, consult your doctor before giving her a proper dose of infant acetaminophen or ibuprofen. However, always avoid giving your child aspirin, as it can lead to Reye's syndrome, a rare but fatal illness. It is important to increase your fluid intake after the incubation period of stomach flu, especially if you are experiencing vomiting and diarrhea. Adults ideally need to drink one cup of fluid every hour while children need 1 ounce of fluid every 30-60 minutes. However, drinking water alone may not be enough. You need to replenish the nutrients and the electrolytes that are lost. Consult your doctor before starting your sick child on oral rehydration solutions (ORS), like CerLyte, Infalyte, Naturalyte and Pedialyte. Adults can have diluted fruit juices, sports drinks, clear broths or decaffeinated tea. Avoid caffeinated beverages, alcohol or sugary fluids as they can worsen your vomiting. For the first a few days, you should only eat liquid foods. Then you can switch into a bland BRAT diet (comprising of bananas, rice, applesauce and toast) which is the most widely used diet in gastroenteritis. But this diet does not provide the necessary fat and protein that your body requires for complete recovery. So after a few days you should opt for foods rich in potassium (bananas, potatoes and fruit juices), salt (soup or pretzels) and yoghurt with active bacterial culture. Even adding a little fat in form of butter or lean meat would help to slow down your digestion and reducing diarrhea. How Long Is C. Diff Incubation Period?